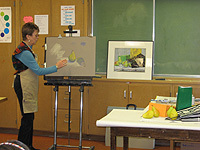 Barbara Solberg - On-Site Pastel Workshops - Make Time for Art! Work table for pastels, books, etc. Contact Barbara for more information and scheduling. 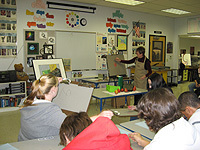 Make time for art and sign up today! Click here for a printable list of materials that you'll need for class. Click here for my full Biography and CV.